i cooked a whole fish! 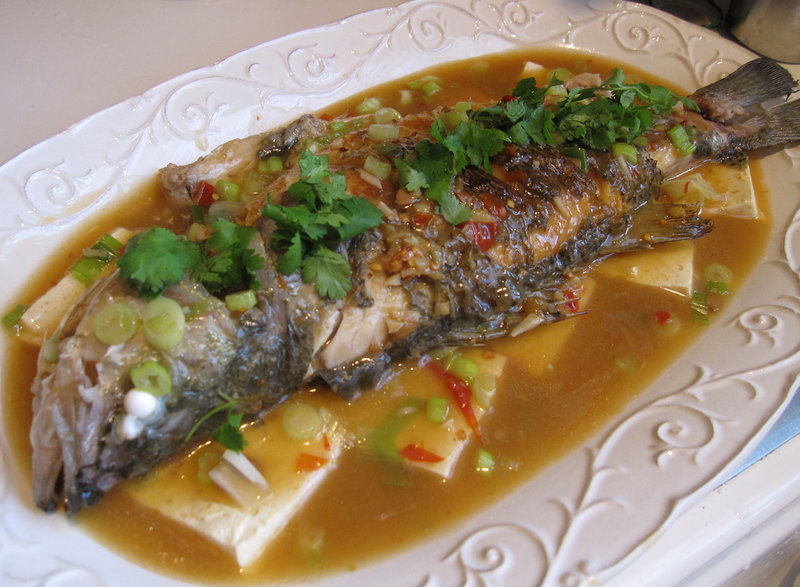 when i was younger, my family would go to this place in the richardson chinatown called lee’s catfish and they had this awesome signature dish called dou ban yu, or chili bean paste fish. i don’t remember a lot from my early childhood, so this place must have had realllyyy good fish for me to still remember it. sadly, the owners have retired and they’ve closed shop. i’ve had this dish at other restaurants and still none compare to lee’s. …and neither did mine. but, hey, first time cooking a whole fish! yay! Pat the fish dry with paper towels, cut large slits on both sides of the fish. Rub the outside and inside of the fish with salt and mirin. HELLO FISH. Cut the tofu into slices and pan fry for 3-4 minutes on each side. 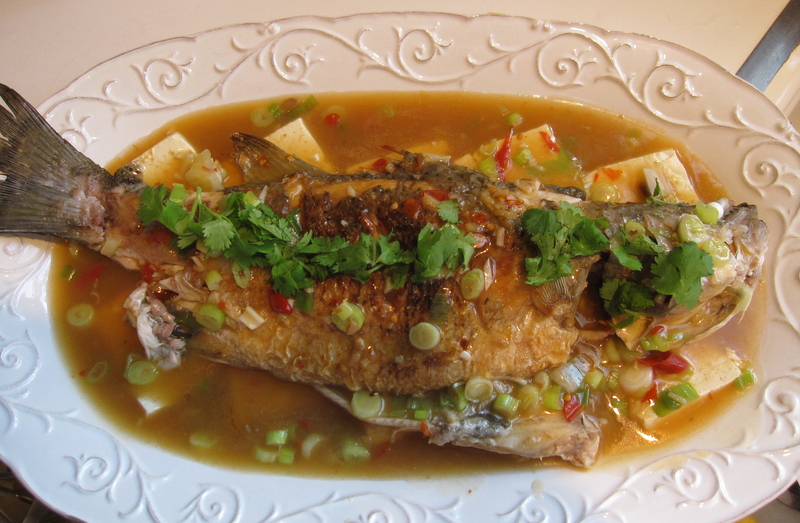 Arrange the fried tofu on a large plate – the finished fish will sit on top of the tofu. Turn heat up to high and coat the pan with peanut oil. When the pan is burning hot, throw the fish in and RUN backwards as fast as you can. Cook for 3-4 minutes, or until the skin starts to crisp up. Then, walk back towards the stove, grab a pot cover and carefully flip the fish as fast as you can without splattering too much oil onto yourself. Squealing is okay. Cook fish for another 3-4 minutes. 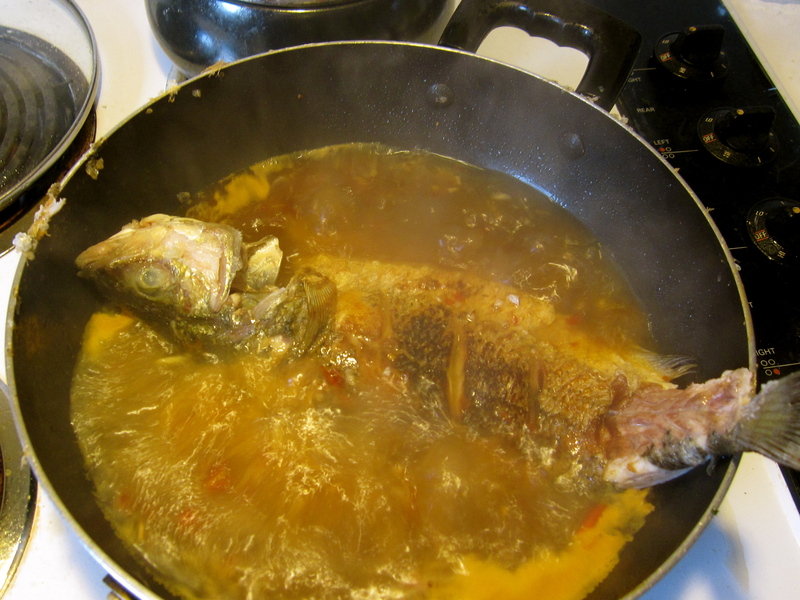 It’s okay if the fish isn’t completely cooked, it’ll get braised later. Remove fish from pan and set aside. Keep the remaining oil in the pan, add the garlic, ginger, bean paste, soy sauce, and water (start with 2 cups, add more if the sauce is too spicy). 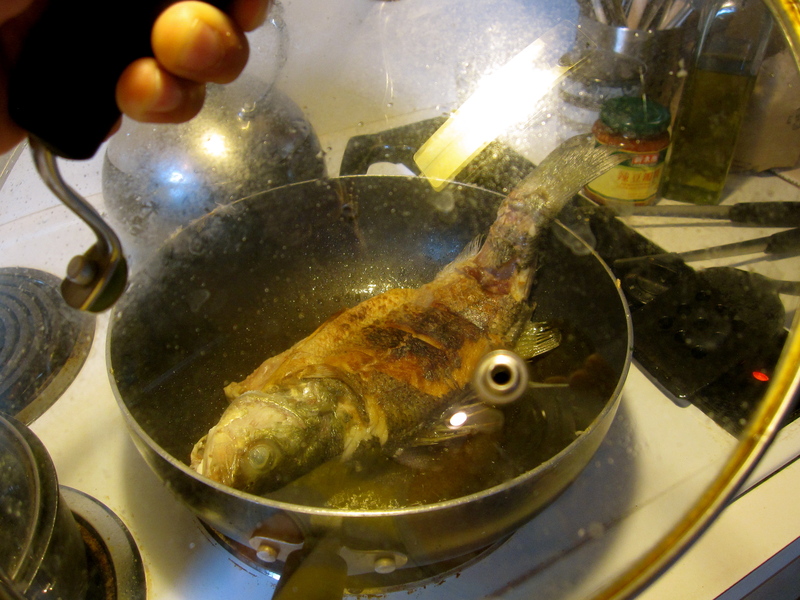 When the water comes to a boil, place the fish back into the pan. Cover the pan with a lid, reduce the heat, and let the fish cook on medium for 5 minutes. 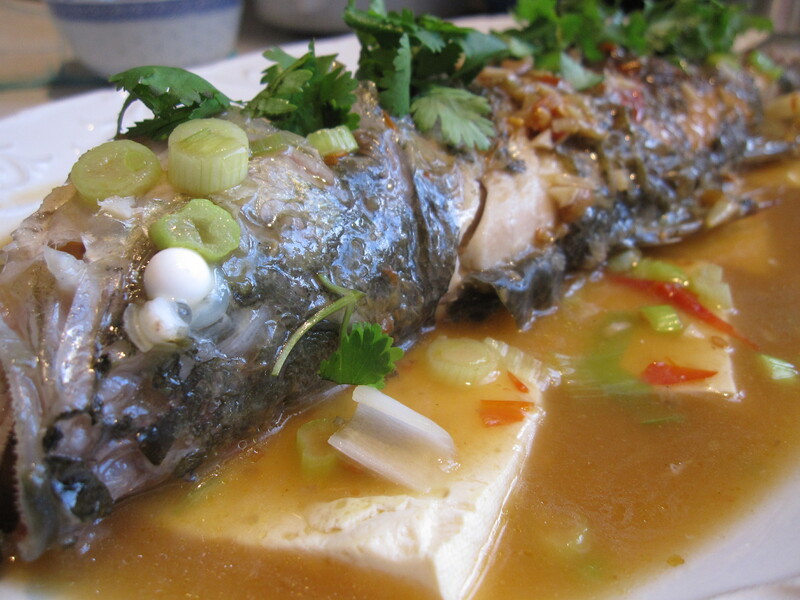 Remove the fish and arrange it on the plate with the tofu. Make a cornstarch mixture (1 tablespoon cornstarch, 1-2 tablespoons of water) – the consistency should be more water-y than pasty. Add the cornstarch mixture to the remaining sauce in the pan. If you like the sauce to be thicker, repeat the cornstarch mixture step until the sauce reaches your desired consistency. Add green onions and turn off heat. Ladle the sauce over the fish and tofu. Garnish with cilantro.